For performance reasons, Echo has copied these icons into the modules/icons/ folder, so those will need to be updated, the JSON files that make up the imagepack, and the code that adds the CSS classes. I (@Legoktm) will mentor this task in GCI. 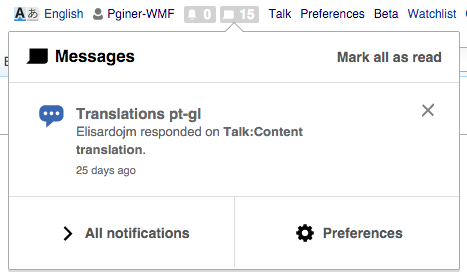 Pginer-WMF added projects: Collaboration-Team-Triage, Notifications, good first bug. Pginer-WMF added subscribers: Aklapper, StudiesWorld, Pginer-WMF. 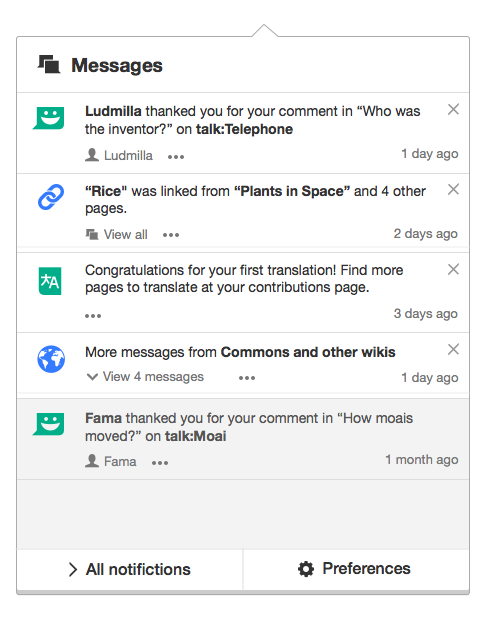 That looks like the "SpeechBubbles" icon on https://doc.wikimedia.org/oojs-ui/master/demos/#icons-mediawiki-mixed-ltr right? 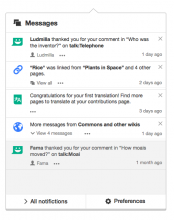 Legoktm added a project: Google-Code-In-2015. Hmm, I just realized that patch replaced both the big icon in the panel and also the small icon in the badge. @Pginer-WMF: was that intended? Catrope assigned this task to MtDu. @Catrope - I think that's intended: the SpeechBubbles icon - the big icon in the Messages panel and the small icon in the badge for Messages should be the same. Checked in betalabs - Chrome, FF, Safari. That makes sense in the current design. The badges will probably change as part of T115845 and the associated organisation for notifications.